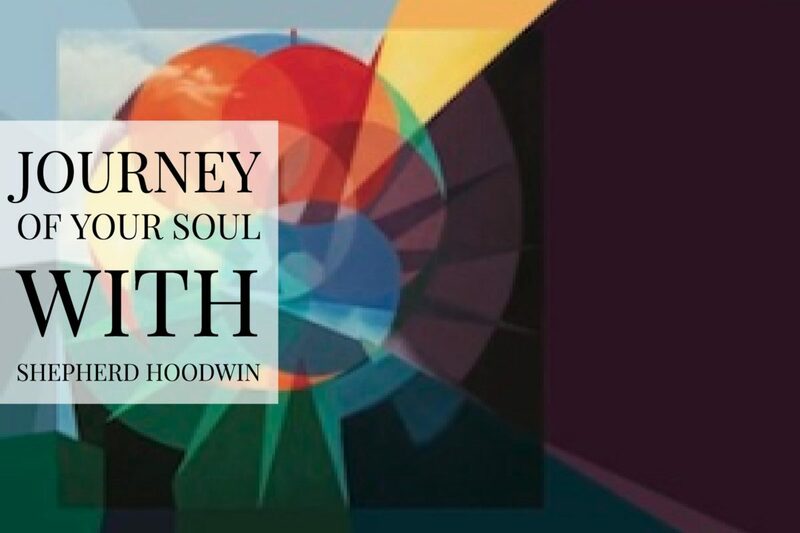 Today I am delighted we get to spend time with author and spiritual teacher Shepherd Hoodwin to discuss his book Journey of Your Soul, A Channel Explores the Michael Teachings. This is the first of a multipart series that Shepherd and I will be doing focused on the Michael Teachings — a fascinating body of work that helps us understand more clearly our journey here in human form. 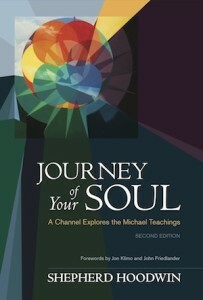 With tremendous information on soul choices and the art of channeling, Journey of Your Soul is the first book I would recommend to anyone eager to gain insights into their soul essence and the personality choices they’ve made to set up their current lifetime. Shepherd, thank you so much for sharing with us today. I discovered the Michael teachings several months ago and was immediately drawn to your work. Who is Michael and when did you first learn of them? Michael is a causal plane teacher. The causal plane is an intellectual dimension directly “above” the astral plane, an emotional dimension. (We dwell on the lower astral plane between lifetimes.) They are a group entity consisting of one thousand fifty souls working in cooperation who have completed their lifetimes on the physical plane. There were a series of synchronicities in 1986 that led me to Michael. The most pivotal was when a close friend told me about the first Michael book, Messages from Michael. I decided to find a Michael channel. I wrote down questions and answers started coming. When people discover the Michael teachings as I did, they are interested in learning more about themselves and their personality choices. I now have a much greater understanding of myself, those close to me, and all others. Can you share with us what you feel is the value of the Michael teachings? I find them enormously useful. They vividly bring home the truth that everyone’s contributions are essential, that our differences are for good reasons. All traits can be used either positively or negatively; none of them are bad of themselves—we just need to evolve them. They also give a framework for understanding why we’re here and how to live more joyfully. Michael illuminates the value of all experiences: that every choice we make can help us grow as souls, and that no experience is wasted. As the Michael teachings are a channeled body of work, you go into details about how people channel, the benefits and limitations. Can you explain the differences between the work of a medium and that of a channel who receives advanced spiritual information? Also, please share any advice you have for anyone just awakening to their ability to channel. Channeling is a means of communicating with beings who are not in physical human form. It is extremely useful but it is not a panacea. Those on higher planes are still learning and evolving, too; they are not perfect—no one is—but they can offer a higher perspective and information not readily available through other means. Mediums, as I define them, specialize in communicating with deceased loved ones. Channels work with teachers. There are good books that can coach people who are opening to channel. I also do channeling coaching. My best advice is to slow down and listen deeply; rushed channeling can get sloppy. Shepherd, what is the Tao and what does Michael mean when they say we are sparks cast from the Tao? The Tao is the Source, the ground of all being from which the universe springs. We are part of the Creator (Tao) as well as part of creation. In order to expand the Tao’s knowledge of itself, we as a spark of the Tao created a vehicle that lets us be in the universe. Michael calls that our essence or soul. Our essence then creates reincarnational personalities that allow our essence to have lifetimes on Earth. You explain in Journey of Your Soul that we choose one of seven roles for our cycle here on Earth. I know we are both sages. Tell us about the seven roles. Our role is our primary style or way of being. Warriors are persuasive, single-minded doers, often with a hearty sense of humor and sometimes the subtlety (and strength) of a Mack truck. They seek challenge. Kings are the large-picture counterparts of warriors. They are charismatic leaders, organizing others to action, sometimes in a tyrannical manner. They seek mastery. Scholars, rather than being oriented toward doing, are a resource for others. They study and assimilate, intellectually or otherwise. Sometimes they are overly theoretical and distanced from life. They seek knowledge. Artisans create what is new, whether in art, hairstyles, or computers. They are often warm and playful, and sometimes out of touch with reality. They seek originality. Sages express and communicate. They are witty, friendly, entertaining, and sometimes loud and verbose. They seek insight. Priests inspire others through their compassion and vision. They sometimes get carried away and take too much on faith or try to force their beliefs on others. They seek what is highest. Servers support and nurture others, sometimes in a self-denying and victimized way. They seek the well-being of all. That now leads into essence twin and task companions — souls close to us that influence our lives tremendously. Who are they? These are our two closest soul bonds. We may know them on the physical plane, or our bonds with them may be only in spirit. Our essence twin is our foremost partner in inner growth, a soul who reflects us back to ourselves. Our task companion helps us with our outer life tasks. Integral to the Michael teachings are the overleaves. Please describe some of them. When planning an individual lifetime, we choose several personality attributes — overleaves — that overlay our essence. They include our goal (primary motivator), mode (dominant way of operating), attitude (how we tend to view life), and center (the part of self from which we react). We change our set of overleaves from lifetime to lifetime in order to give us a variety of experiences. Just as there are seven roles, there are seven of each of the overleaves. The number seven comes up a lot in the Michael teachings, relating both to our soul groups and soul age. Would you address that? Seven also frequently arises in metaphysical teachings in general. We live in a universe based on the number seven. We have seven colors of the rainbow and seven notes in a musical scale, for instance. We are each part of a group of seven souls called a cadence. Seven cadences make a greater cadence. We’re also part of a family of about a thousand souls called an entity, and seven of those make a cadre. Each of the seven positions imparts specific qualities. For example, the number one position resonates with the role of server and imparts purposefulness. A sage who is first in her cadence has a server flavor and tend to pioneer. I am very thankful for the Michael Reading chart you did for me and am looking forward to sharing it in the next part of this series. How can others order a chart? You can go to my site, shepherdhoowin.com, for information about ordering charts and the various sessions I do. Deep gratitude to Shepherd and Michael! 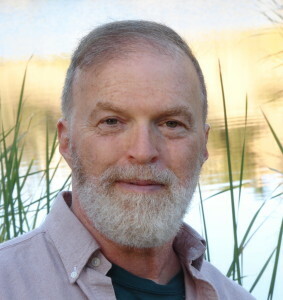 I highly recommend reading Journey of Your Soul and exploring all of Shepherd Hoodwin’s work at shepherdhoodwin.com. You’ll find more information on the Michael teachings, how to work with Shepherd, and information on the many books and articles he has written. Listen to the three-part podcast interview I did with Shepherd and view the chart he did for me!